I feel like I started the year with a pretty clean slate, so it's taken some effort to get going again on sewing projects I really want to make. Of course, the Finish-A-Long is good motivation, and yay! I've managed to come up with a list for this quarter! 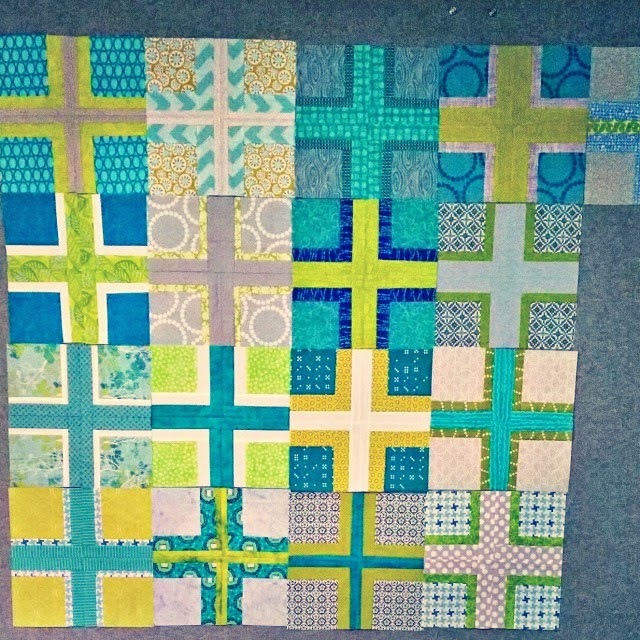 First and foremost is a baby quilt due this month! I really can't show much, but trust me, it's in the works!! And then another! 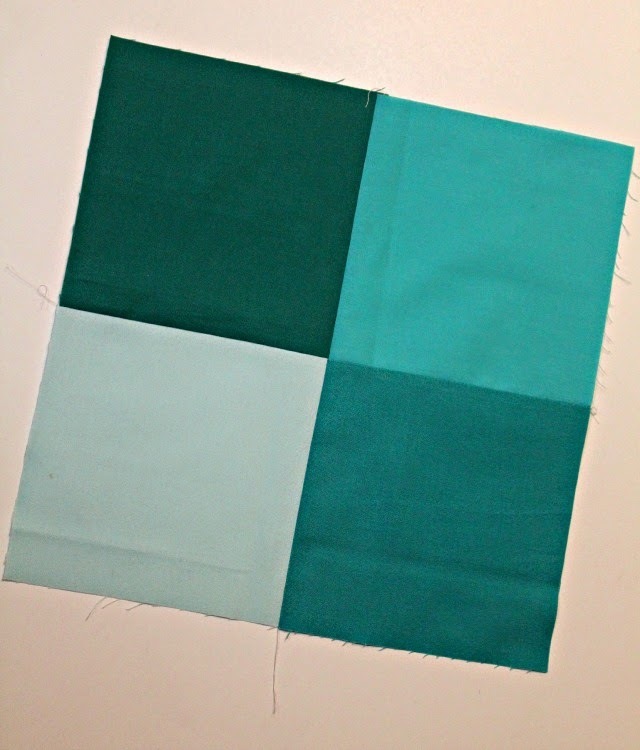 I enjoyed the baby quilt I made using shecanquilt's Canvas pattern so much, I'm going to use that again. Looks like I haven't gotten too far, but the next step is all cut out. Faith Circle's December quilt is another priority. I now have all the blocks from my bee-mates, so I can move forward. I'm really shooting to have this completed by the end of the month. Twice at SMQG sewn-item swaps, I've had my hands on a sweet patchwork journal/sketch book, and twice they've been stolen away. snif. So I guess I need to make my own, and a mini Hack Slash block is just the beginning. And last is another 'me' project using the Oakshott scraps Cindy/Live A Colorful Life shared with me. It'll be a mini, so how hard could it be? Even though there's 5 projects on my list, it seems doable. Here's hoping! Lovely projects Debbie and you've given me an idea! Win Win!! Debbie, I promised myself one at a time in 2015 but I already have five new ones in progress. Old habits die hard. I love your mini block and am eager to see how the journal comes out! Great list and how nice to see another Canvas soon too. I have journals and keep meaning to make a covered one for me too. great photos , i love that little star booklet!! What great projects! I love the tiny star for the notebook. And the bee blocks are great! I really like that block. So many lovely projects! 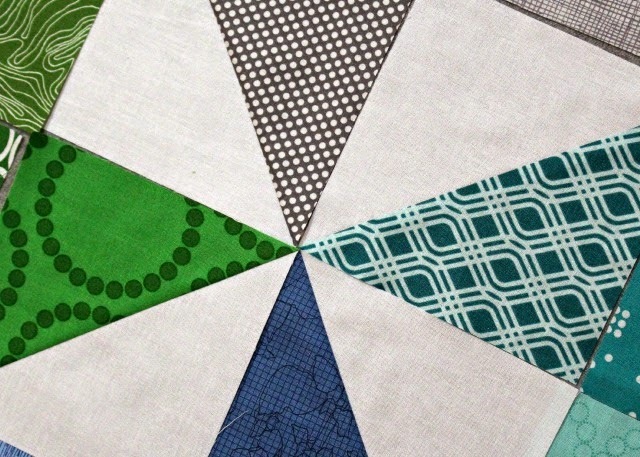 What is the background fabric in the pinwheel blocks? Lovely texture. 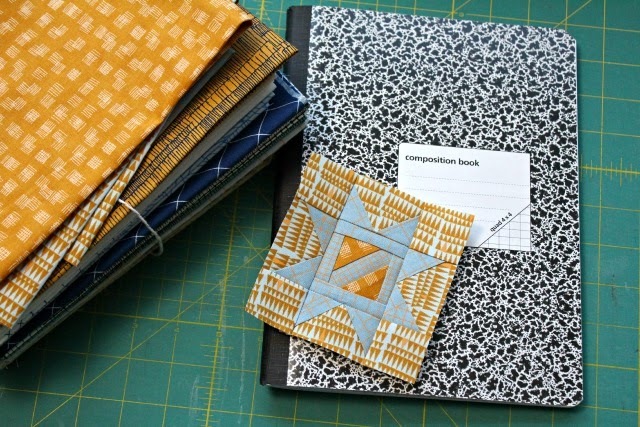 A great list of projects Debbie - love the fabrics you are using for the notebook cover! Five is a good number. Your projects look promising. Looks like a great list. It'll be fun watching your progress! A good group of projects to work on. I really like your Faith quilt. Great color/fabric combos. I think I'll join the finish party this quarter too. I can use all the pressure I can get to finish things. oh wow!!! What a list. 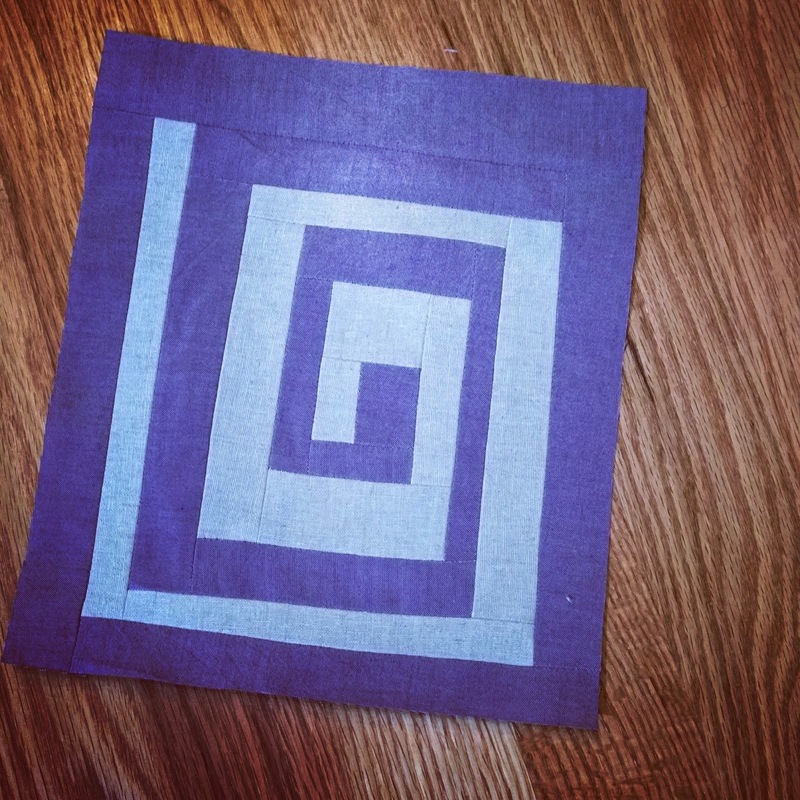 So looking forward to seeing your finished notebook cover, I just love the block you started with. Lovely looking projects, good luck!